I love cranberry apple. Maybe it's a childhood thing stemming from a juice box habit. Maybe it's because the colorful leafs are covered in frost every morning now. Maybe because it's just bomb. I don't know, but I dig it! Last year I made this Cranberry Apple Upside-Down Cake. Awesome. 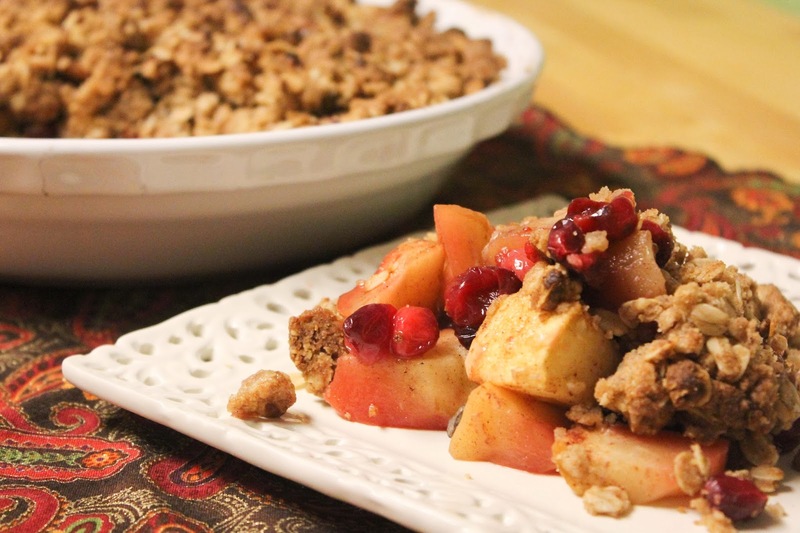 This year I revamped my favorite fool-proof Peach and Raspberry Crisp. Cran-Apple is fall on a plate. I added chopped pecans to the topping and lots of cinnamon to the filling. It's just delicious. My mom says it's healthy enough to eat for breakfast, but she's in the apple pie for breakfast camp too. 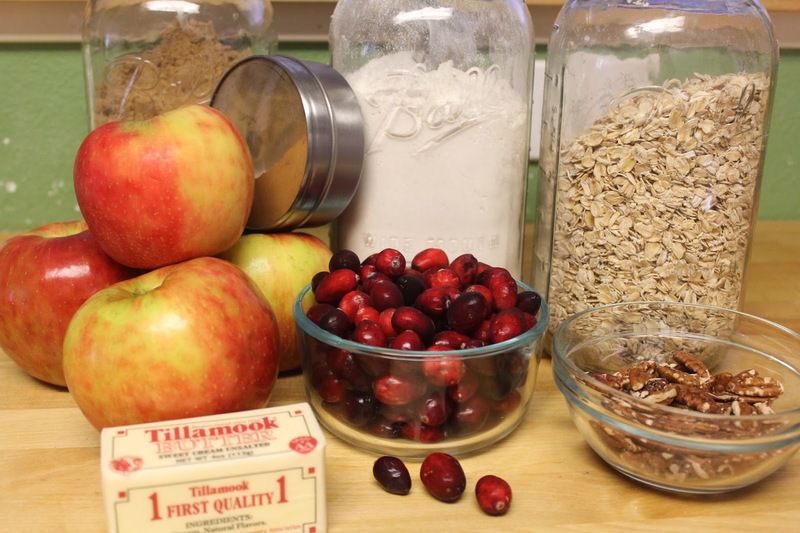 I like to make the filling first - roughly peel and chop the apples, and rinse and sort cranberries. 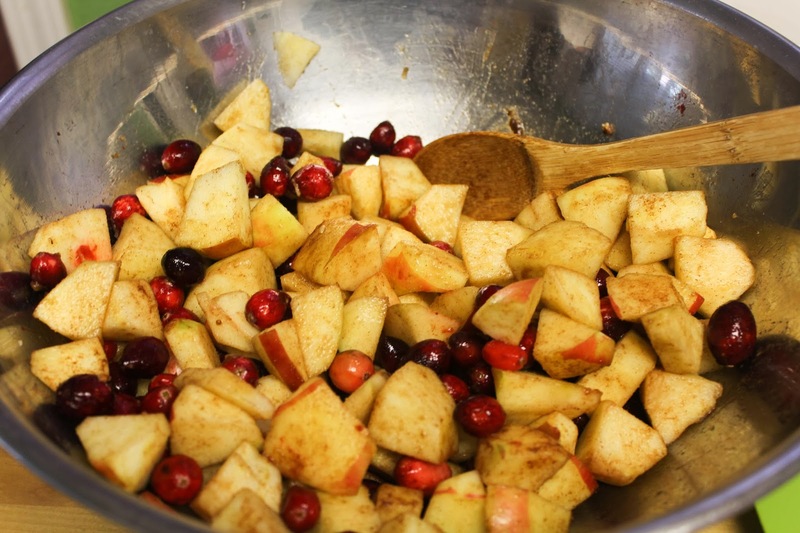 In a very large bowl, mix together apples, cranberries, sugar and cinnamon. Set aside. Next make the topping - in a large bowl, mix together oats, flour, sugar, pecans, salt and cinnamon. Melt butter and add it to the dry mixture and stir until a thick and crumbly batter forms. Butter a deep-dish pie dish, or other large baking dish and add in the fruit mixture, scraping out all of the sugar and cinnamon goodness. Add the topping and spread it out to cover the fruit. 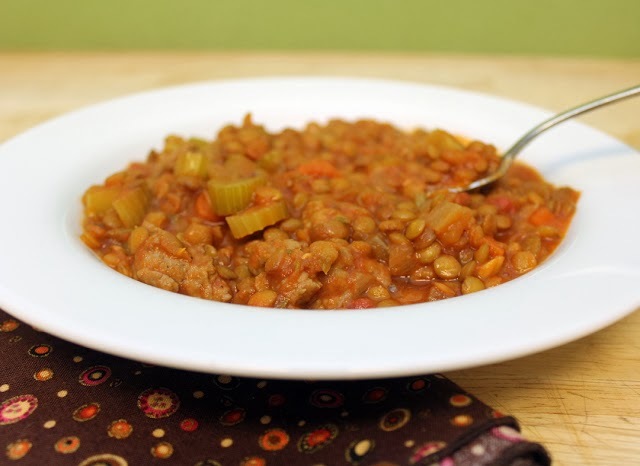 Break up big pieces, but be sure to leave some clumps - they are delicious! Bake the crisp for 15 minutes at 450 and then reduce the oven temp to 350 and continue baking for 25-30 more minutes. Fruit will be tender and topping will be toasted. Let it cool a bit and enjoy!! It is super adaptable! This is delicious with so many different kinds of fruits and nuts - or no nuts. Also awesome!